In May 2016 Jim Tharp created the “Above & Beyond” scholarship fund to assist Oak Ridge students overcome their current challenging circumstances. Since then (16) students have begun earning the $3k/year scholarships (4 year duration) with the plan to grow the program by up to 10 students every year. 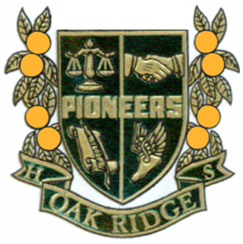 Jim invites anyone interested in investing in future Oak Ridge graduates to please contact Debi Pedraza, Senior Director of the Foundation for Orange County Public Schools at (407317-3261) to discuss gift options. All gifts are tax-deductible to the full extent of the law.